Parents may purchase lunch in the cafeteria on the day they have lunch with their son. Please be prepared to pay with a check made payable to “Stuart Hall” in the amount of $6.40 (per person) as the cafeteria cannot accept cash. If you choose to bring in outside food for your son, please note that ONLY Middle School students are allowed to have fast food for lunch. During the Book Fair, there is an opportunity to “Donate Books for Teachers’ Classrooms.” Teachers select books they “wish” to have for their classroom library and place them in a basket marked with their name. To participate, please select a book from the teacher’s basket, pay for it when you check out, and have your son give it to his teacher. 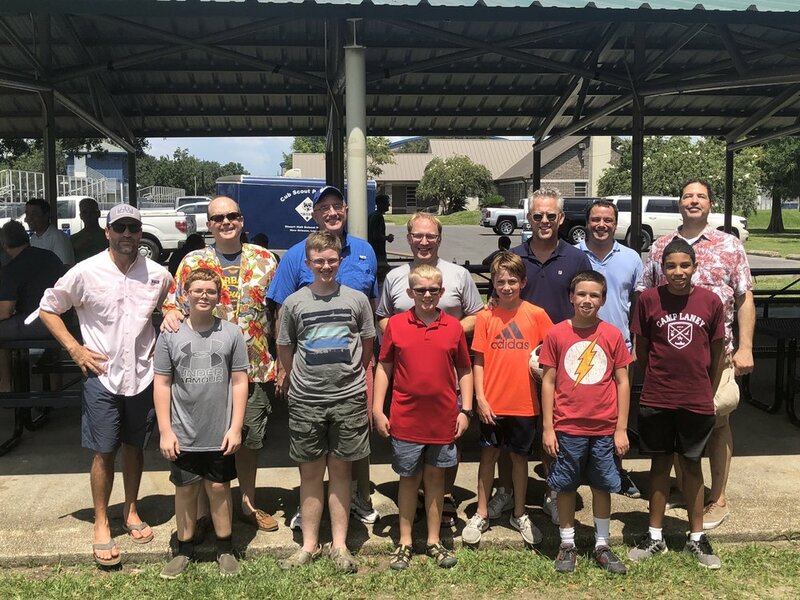 Our annual Father-Son Picnic this past weekend was a huge success! Thank you to Chairs Len Aucoin (left) and Kevin Wiseman (2nd from right) and to Parents' Club President Steven Serio (far right) for all of their hard work organizing the event. We are grateful to all of our committee members for their help: David Amoss, Brent Boten, Greg Dini, Nick Fleming, Ryan Gootee, Henry Hefler, Robbie Hughes, Lenny Labiche, Danny Maher, Mark Mahfouz, Paul McDonald, Spencer Neff, Chris Price, Daren Rice, Chuck Schibler, Charles Seemann, David Lee Simmons, and Erik Sundell. We also thank all the dads and Knights who attended. 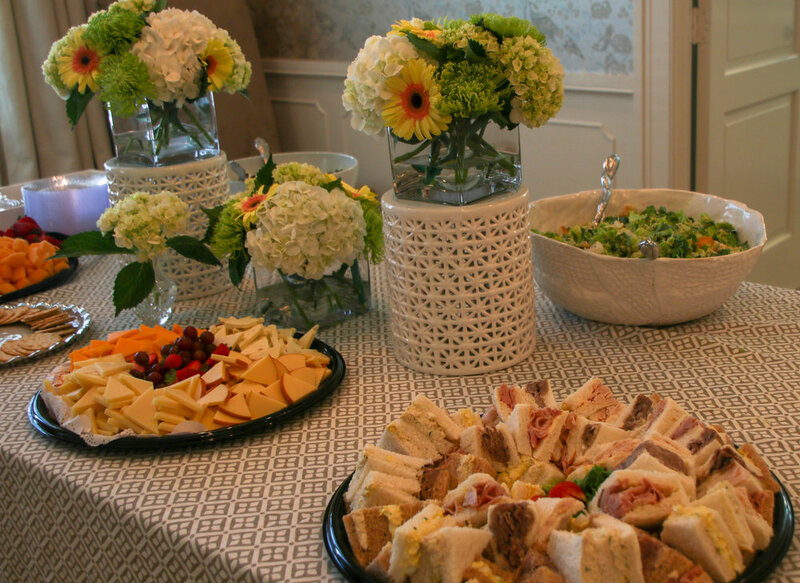 The Parents' Club and our seasoned mom buddies were pleased to welcome our new moms at the beautiful home of Meredith Yount (Tripp '24). Thank you to Parents' Club Secretary, Natasha Forest (Dominic '21), for planning and organizing such a wonderful event! 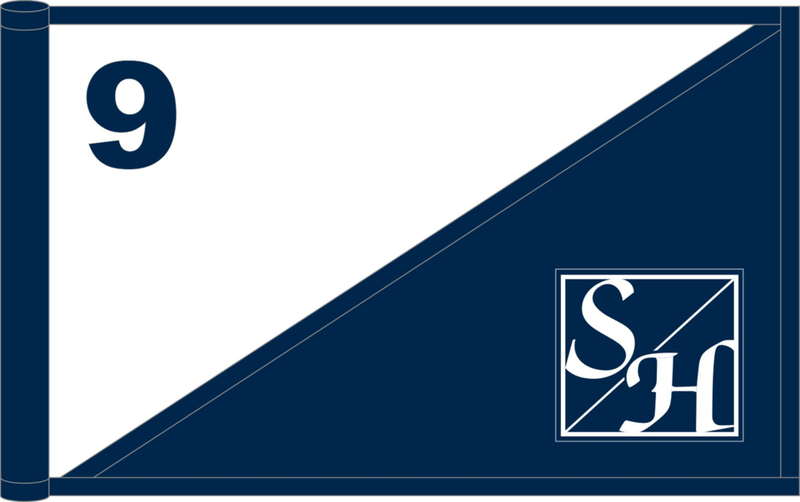 To order your personalized golf flag, please click here. The annual Gift Wrap Sale kicks off this week and will run through September 22. This year, the Parents' Club will be selling high-quality gift wrap and gift items for the home through Charleston Wrap and Poinsettias from Perino's Garden Center. 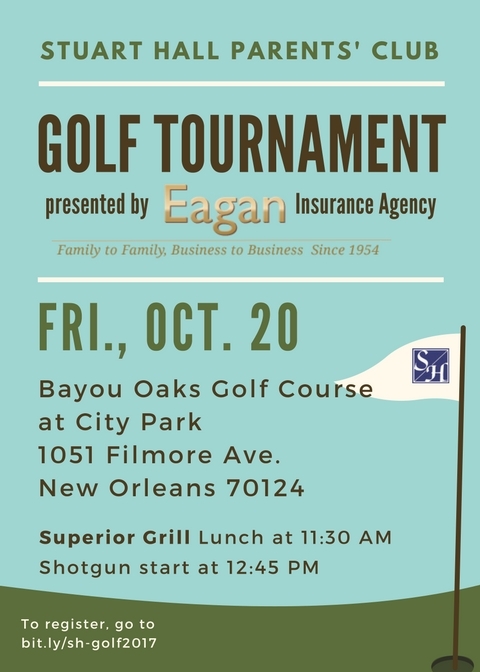 This fundraiser is one of the most significant funding sources for our Parents' Club. We hope you will participate in the fundraiser and support our school. More details are included in your son's Childpost envelope today. For questions on the Gift Wrap Drive or if you would like to assist on this fundraising committee, please contact Meredith Balart (Truitt '20) or Patrice Mills (John Thomas '20). Free dress to each class that has a total of 75% sell at least one item. Pizza party to one class in each division, who sells the most ($ amount). Each boy who sells at least one item will receive a rubber pig and the boy who sells the most ($ amount) in each division will receive a battery operated pig. Our annual Father-Son Picnic this past weekend was a huge success! Thank you to Chairs Randy Dunkin and Kevin Wiseman for all of their hard work organizing the event and to committee members for all of their help: Melissa Adams, Greg Baffes, Jeb Bruneau, Charles Fazzio, Matt Fletcher, George Jackson, Ken Kleinschmidt, Keith Landry, Michael Lavie, Will Newell, Shay Randolph, John Regan, Tim Seidell, Steven Serio, David Lee Simmons, Jon Smith, Taylor Smith, Joe Uddo, and Scott Zazulak. We also thank all the dads and Knights who attended. 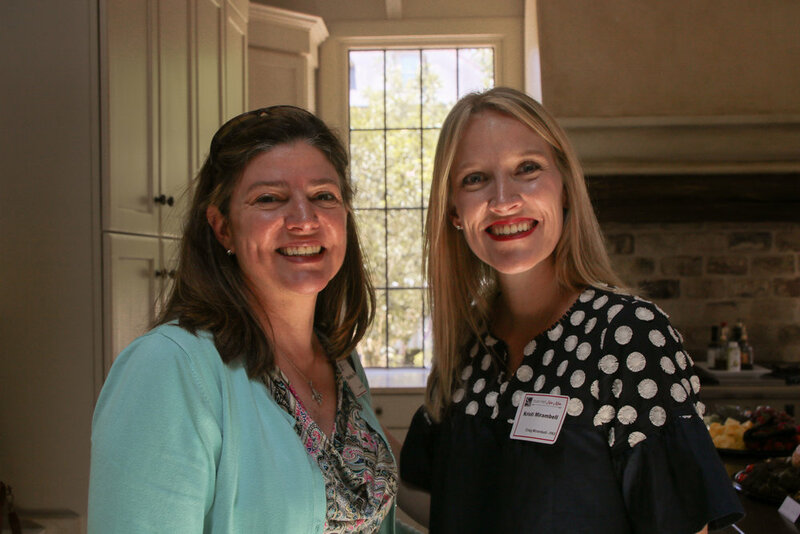 The Parents' Club was so excited to meet our new S/H moms on Thursday, July 27, at the beautiful home of Calais and Patrick Waring (Gabe '21). Thank you to all of our new mom buddies for welcoming our new moms with such warmth and to Amanda Redmann and our Parents' Club Officers and meet and greet committee for organizing such a wonderful afternoon. Dads’ Night Out for 2016 scored another touchdown. Turnout was great and our guest speakers Mike Detillier and Carley McCord provided great insight. Thank you to all of the Dads who attended. Special thanks to Vinson Knight and Christian Vaicius for their contributions. We would also like to recognize Christopher Keene and his staff at the Warehouse Grille for hosting the event again. Mark your calendar for the annual Book Fair, which is September 19th -22nd. The boys are looking forward to having lunch and shopping with you! Monday, Sept. 19st – Thursday 22nd will be the class days for shopping. The class schedule can be found here. You may sign up to volunteer online by clicking here or by printing out the form and returning it in your son’s Childpost folder. If you have any questions, please do not hesitate to contact Staci Hall (stacileehall@yahoo.com) or Jessica Waguespack (jgwaguespack@gmail.com), the Book Fair Co-Chairs.